Jamaican Roots – Di Real Ting! 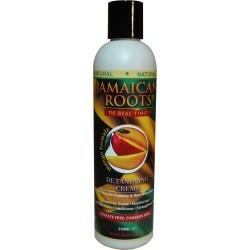 Jamaican Roots is a brand developed using the natural ingredients found in Jamaica. The products are formulated with a unique blend of oils that promote healthy hair and skin. Jamaican Roots is Di Real Thing! Jamaican Roots There are 18 products. 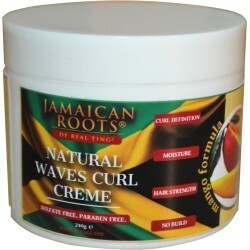 Jamaican Root Natural Waves Curl Creme is formulated to increase moisturisation, curl definition, shine and strength of your natural hair. It contains mango butter, shea butter, coconut oil and avocado oil to define and shape curls. It also smoothers the cuticle and reduces frizz. Jamaican Roots Amazing Mango Hair Styling Gel contains 100% pure Mango butter and cactus oil. It perfectly holds hair and does not flake. It is also enriched with argan oil and Pro-vitamin B5. It moisturises hair and scalp. It is weightless and leaves your hair shiny and with a perfect hold. 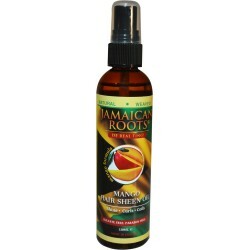 Jamaican Roots Amazing Mango Styling Gel Oil is formulated with extracts from kernels of the mango. This unique formula conditions and revitalizes your hair. It also shines and moisturises hair. The lightweight formula will give hair superior hold and it does not flake. This complimentary twin set combines our bestselling Jamaican Roots Crème Hydrating Mango Shampoo (250ml) with the Jamaican Roots Crème Hydrating Mango Conditioner (250ml). An exotic blend of organic mango seed and argan extracts - bursting with mango aromas. This complimentary trio set combines our bestselling Jamaican Roots Crème Hydrating Mango Shampoo with the Jamaican Roots Crème Hydrating Mango Conditioner and Jamaican Roots Mango Hair Sheen Oil. The combination of products gently cleanses, nourishes and rejuvenates hair leaving it shiny and healthy. This complimentary trio set combines our bestselling Jamaican Roots Crème Hydrating Mango Shampoo with the Jamaican Roots Crème Hydrating Mango Conditioner and Jamaican Roots Cactus Oil Hair Serum. The combination of products gently cleanses, nourishes and hydrates dry hair. 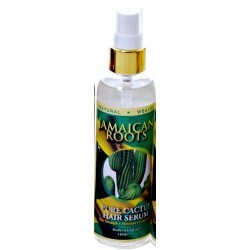 Jamaican Roots Cactus Oil Hair Serum rejuvenates dry and damaged hair. Formulated with a unique blend of Cactus Oil, Argan Oil and Jojoba Oil Jamaican Roots Cactus Oil Hair Serum helps to hydrate, nourish and revive hair. 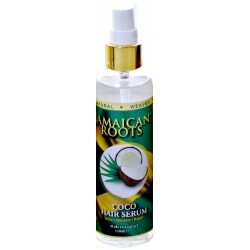 Jamaican Roots Coco Oil Hair Serum is formulated with a unique blend of coconut oil and exotic ingredients, developed to replenish and revitalise hair. It protects hair and repairs split ends. Shines, softens and defines hair colour. Jamaican Roots Crème Hydrating Mango Conditioner gently nourishes, moisturises and detangles hair. It is infused with argan oil and mango oil which deeply conditions and nourishes hair. Jamaican Roots Crème Hydrating Mango Shampoo gently cleanses, moisturises and detangles hair. Contains Pure Mango Oil and Argan Oil which condition and nourish hair. Jamaican Roots Detangling Crème uniquely formulated to soften and detangle hair.  It defines curls and helps to straighten hair, preventing it from breaking during combing. It contains moisturisers, conditioners and proteins. Jamaican Roots Dry Scalp Shampoo with Keratin & Mango formulated with Keratin & Mango Butter it contains moisturising ingredients that nourishes, moisturises and conditions your hair. It moisturises dry scalp. It does not contain harsh chemicals.